How are estradiol levels measured? Estradiol levels may vary over a range whose extremes are separated by a factor of 10 000. The earliest techniques used direct radioimmunoassays, requiring extraction of the fluid and chromatography to be performed first. They had a detection limit of 30-100 pg/ml. The second generation of direct immunoassays dispensed with extraction and chromatography, allowing automation to be applied, but not solving the problem of inaccuracy. Another development was liquid chromatography-tandem mass spectrometry (LC-MS/MS). These methods can detect estradiol levels down to 10 pg/ml but fail in some cases to show the normal distribution of values in populations with low estradiol concentrations. This can cause immense clinical difficulty as the real value could be anywhere between 10 and 60 pg/ml if the displayed value is 10 pg/ml, for instance. The gold standard technique for estradiol measurement is isotope dilution gas chromatography-MS but this is too cumbersome and takes too long to be adopted for routine use in the clinical setting. However, MS-based methods are being improved to allow greater ease and less complexity, as well as faster results. The fact remains that the method depends on proper calibration and absence of interference for accurate results. If estradiol levels are very low, the accuracy of measurements must be validated. This is seen in prepubertal children or women following menopause, or in patients taking aromatase inhibitors. When should estradiol levels be measured? 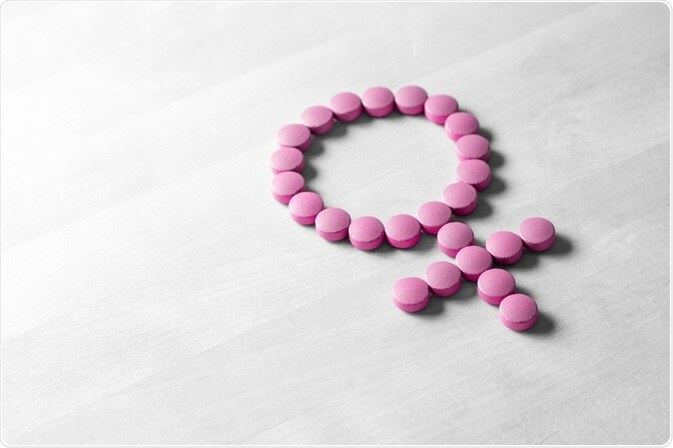 In women with amenorrhea (absence of menstruation) or abnormal menstruation, assessment of estradiol levels can help to diagnose menopause or any underlying disorder of the reproductive system. During infertility treatment that involves the stimulation of follicular growth to increase ovulation, estradiol is regularly checked as fluctuations in the level of this hormone can disrupt the delicate hormonal balance essential for ovulation, preparation of the endometrium and implantation of the fertilized ovum. Assessing estradiol can therefore help to monitor the treatment and predict its success and failure. Such measurements are typically carried out using point-of-care, automated immunoassays within in the GP surgery. This is known to lead to overestimation because the test shows significant cross-reaction with the metabolites of estradiol such as estrone sulfate. For this reason estradiol measurements are interpreted in combination with simultaneous ultrasound monitoring of the ovarian follicles. The benefit of automated immunoassays is the ability to alter clinical management of individual patients on the basis of rapid and cost-effective estradiol measurements done the same day, as well as the additional ability to monitor other hormones as well such as FSH. In pregnancy, estradiol monitoring may help in molar pregnancies and related conditions, since this assists in predicting the risk of this complication. Another possible benefit is in predicting disease flare-ups in pregnancy in women with systemic lupus erythematosus. However, these need more accurate measurement techniques than can be achieved by direct estradiol assays available at present. 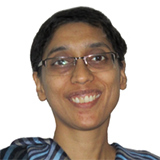 Some forms of cancer and non-oncologic conditions are managed by estradiol level measurements. For instance, in prostate cancer, androgens are found to be the precursors of blood estradiol, and thus castration or anti-androgen therapy, for instance, may be monitored by following estradiol measurements. This could help assess how much this treatment approach affects the bones, heart and other metabolic parameters. In breast cancer, for example, the risk has been found to be higher in postmenopausal women with higher estradiol levels in blood. At the same time, treatment with aromatase inhibitors for breast cancer will result in falsely high estradiol levels because of detection of its metabolites as well. Patients who are undergoing treatment for endometriosis or uterine fibroids using GnRH agonists may also benefit from estradiol level measurements on an estrogen add-back regimen. Levels of estradiol in the blood are raised in a condition called precocious puberty, when menstrual periods start earlier than would be expected, at between 8 to 12 years of age. Estradiol measurements are crucial to assessing the response to treatment with GnRH agonists in this case. In delayed puberty, the blood estradiol level is usually low. Here too, precise and sensitive estradiol measurements are essential to modulate therapies to induce normal pubertal development. Following menopause, estradiol and FSH measurements could be helpful in determining the timing of the last menstrual cycle. Hormone replacement therapy in postmenopausal women could be modulated to provide the least required dosage of estrogen to alleviate troublesome symptoms, by providing information about patient compliance, estradiol efficacy and the dosage required to attain specific blood levels. However, this this too requires accurate and sensitive techniques. Normal levels of estradiol vary widely, across several orders of concentration, from 1-20 000 pg/ml, depending on the target group and the time of life. Other medications also play a role; for example, aromatase inhibitors may drive estradiol levels down to less than 1 pg/ml. In the absence of pregnancy, the level falls to its lowest or menstrual level at the end of the luteal phase. If conception occurs, estradiol levels rise steadily until the fetus is completely mature. This estradiol arises from the placenta, which aromatizes pro-hormones that come from the adrenal gland of the fetus and convert them to estradiol. 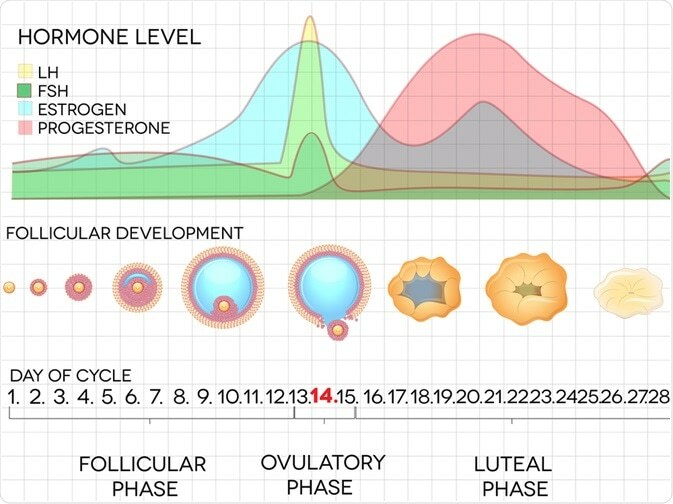 What are the normal ranges for estradiol?